The original hardwood floors were refinished and stained in dark walnut. They turned out beautifully! If you are local to the Southwest Missouri area, we used Todd from Eagle Hardwoods. We would definitely recommend him! 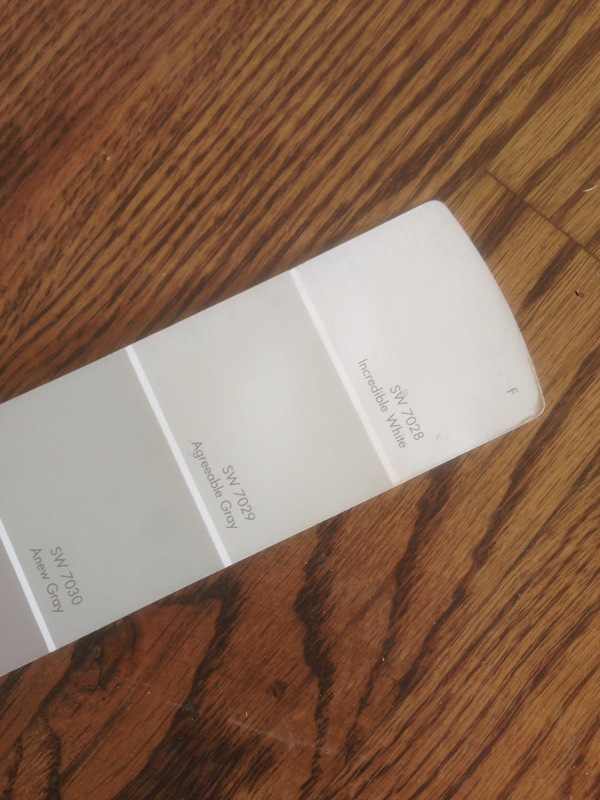 I wanted to use a neutral gray paint throughout the whole house with bright, white trim. 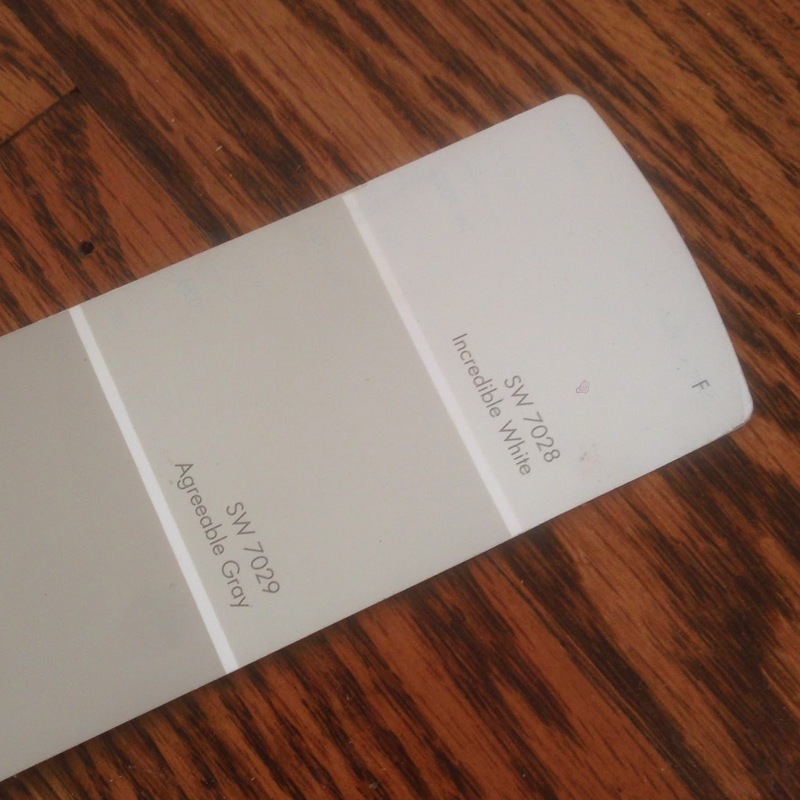 After scouring through lots and lots of paint swatches, I settled on Sherwin Williams' Agreeable Gray. 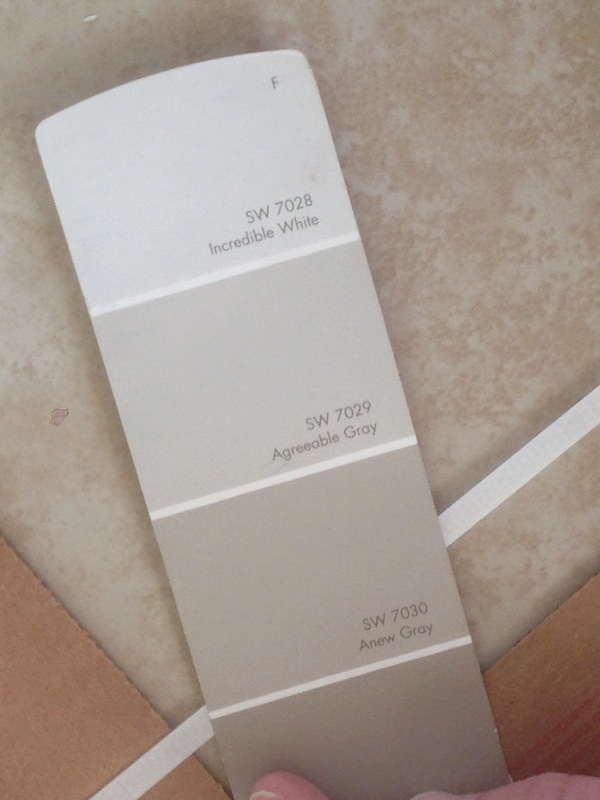 It's a gorgeous "greige" that will probably make an appearance in a room in our home soon. The kitchen and bathrooms in the house had linoleum in them...we replaced that with a neutral beige tile. It's amazing how different those spaces look now! I'll start posting "after" photos tomorrow!